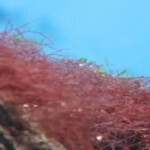 As most people have already learned, the key to any type of successful marine aquarium is to obtain the best water parameters possible and to keep these parameters stable. 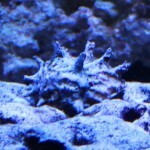 When referring to marine aquariums, I am speaking of both reef and FOWLR (Fish Only With Live Rock) style aquariums. The reason being is that most of the marine fish that we keep are wild caught and come from (or near) a coral reef and therefore would need the same water parameters as a reef tank if they are to thrive and remain healthy over the long term. Just like the key to cooking a good tasting meal is to use the good quality ingredients, the key to maintaining good water quality in your marine aquarium starts by using good quality water. What’s the problem with using tap water?? A) Nuisance algae grow due to nitrates and/or phosphates in your water. 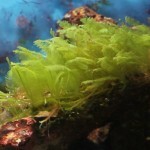 These are the two key nutrients all nuisance algaes need to thrive. This can come from a verity of sources making its way into your water supply and are not harmful to people in lower amounts. 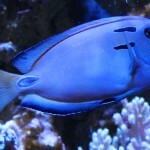 Even at safe levels for human consumption, it can cause a lot of trouble in a aquarium even in every low concentrations. B) Limited success (including losses) with inverts and corals due to trace amounts of copper. 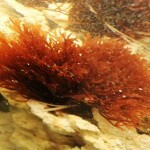 Even trace amounts that are safe for people can be deadly to corals and inverts as copper is highly toxic to them. These trace elements can even come from the copper pipes in your home and you would likely not know it is even there. C) Limited success with fish and more sensitive corals when the tap water has higher levels of TDS (Total Dissolved Solids). This would be in the range of 250ppm (and higher) of TDS in your water supply. As fish and corals are not used to living with these levels of TDS in the wild, if you were to add a fish or coral to your tank with tap water, they will likely experience at least some stress as they are getting used to the new water parameters. In cases of very high TDS, you could experience losses with sensitive corals, inverts, and fish. D) As the water evaporates from your set-up, the TDS levels will increase and could become toxic over a very long period of time. The reason being is that only pure water evaporates and all the organic and inorganic dissolved solids will remain in your tank. Even the best water conditioners that you purchase will not remove any TDS but will contain compounds designed to make the water safe for an aquarium. These same compounds will also increase your TDS concentration. E) Most salt manufactures base their recommendations under the assumption you will be mixing the salt using RO water. This is their basis for the calculations for the listed water parameters advertized on the salt’s container. Using tap water will most likely give you different or variations in the listed parameters. F) The quality of your tap water will vary throughout the year. This can be caused by a wide variety of events such as: the spring melting of snow, higher or lower than normal rainfall, and any other potential changes at the source your local water treatment facility obtains it water from. This would make it very hard to make consistent batches of salt water and these changing water conditions can have bad effects on sensitive fish and corals. Stable water parameters are key to a great set-up. But it’s cheaper to use tap water? Depending on the quality of your tap water, it can be more expensive to deal with the effects of having higher levels of TDS in your tank water as compared to purchasing a good quality RO unit or RO water. When you factor in the costs of purchasing extra reactors and running/replacing phosphate removing media along with any other additives you may need to use, the cost of using tap water in your aquarium can be a lot higher than you may think. It is true that many people have used tap water (with lower levels of TDS) in their aquariums for a few years with seemly no bad side effects. 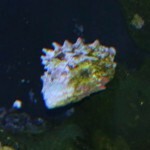 I personally have seen a 3 or 4 year old tank that has seen nothing but tap water and it did not look bad at all. Short term (less than 8 years) success is very possible to achieve using tap water. The part that can be highly debated is the effects that can come from using low TDS water over a longer period of time, in the range of 9+ years. Sometimes it can take quite a while for the possible effects to take hold in your aquarium. The possible long term effects of using tap water are also believed to contribute to a condition commonly referred to as: “old tank syndrome”. This is also a very debatable aspect of using tap water. In short use RO water you purchase from a store, or install a RO filtration unit in your home to make your own RO water to be used in your aquarium. A RO (Reverse Osmosis ) filtration system will typically remove 95 to 98% of all organic and inorganic partials out leaving you with almost perfectly pure water. If the RO unit has a DI cartridge (De-ionization cartridge) installed as well, the DI resin in the cartridge will remove what particles the RO unit did not remove leaving you with 0 ppm of TDS which is pure water. When mixed with a good quality salt, you should now have salt water that is at least very close to the natural water parameters of the ocean and producing consistent and stable water parameters in your newly mixed salt water. This would be the most ideal water conditions for almost all marine corals and creatures alike. For all of the above listed reasons, I feel it is better safe than sorry, and it would be best to avoid using tap water if at all possible. 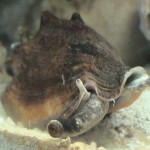 This is why I will always use nothing but RO/DI water in my marine aquariums. 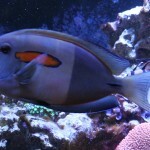 You can have tangs in a 75 Gallon? 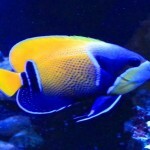 if so, would you think a Blue hippo, a yellow, and a Achilles tang would be too much? ?Also, if you had a black an raeulgr clownfish like you have, would they become a mated pair?? There are smaller tangs that you can have in a 75 gallon tank like: Kole Yellow Eye Tang (Ctenochaetus strigosus) or a Bristletooth Tomini Tang (Ctenochaetus tominiensis) . When you have two clown fish in a tank they do not always become a mated pair. Sounds like your RO unit is not hooked up correctly. The water should go through the canister filters (filament and carbon) before going through the membrane. If it is not flowing that way, and you are getting 35 TDS out of the set-up, your membrane will now likely need to be replaced. Can you give me a little more info about the RO unit ? Are you referring to a three stage with a pre filter, carbon, then membrane ?